Sgt. 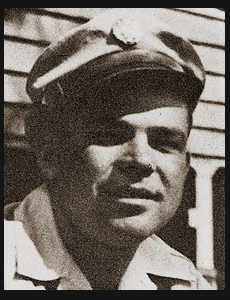 Floyd C. Beer, son of Mr. and Mrs. J. C. Beer, graduated from Wichita Falls High School, Texas; husband of the former Lois Mitchell. Entered the Air Corps in July 1942, trained in Duncan Field, Texas; served in Australia, New Guinea, and the Philippines. Awarded Asiatic Pacific Ribbon with one Battle Star, Philippine Lib. with one Battle Star, Good Conduct Medal, Victory Ribbon.